Six months ago I mentioned LizzyTape as a fix for slippery iPhones. I wanted to add a quick update to this recommendation, as it’s still the handiest iPhone accessory I’ve ever purchased. To recap, LizzyTape is a stick-on pad made from a non-adhesive, nano-suction-cup. It can stick to any non-porous surface, and add extra grip even on more uneven surfaces (like your hand). The product is a small pad that will fit on any size device (not just iPhones). My phone still has the same piece of LizzyTape I wrote about in November. I’d expected it to wear out faster, and had ordered a few with the expectation of needing to replace it every few months. It’s every bit as useful now as it was then. It doesn’t pick up pocket lint, and causes no friction when sliding it in and out of pockets or bags. It will take a coin or two with it if it’s in your change pocket, but there’s really no inconvenience factor. The convenience is amazing, though. In my bathroom there’s a two-foot-tall trash bin, the kind with a foot lever and rounded top. I can set my phone on the spherical lid and it doesn’t move. I can toss it on my dashboard or leather seat in the car and it stays in place. It doesn’t slide, but it’s also not stuck. Even on a mirrored surface where it gets great suction, picking it up just requires a slight pressure on an edge and it pops off. 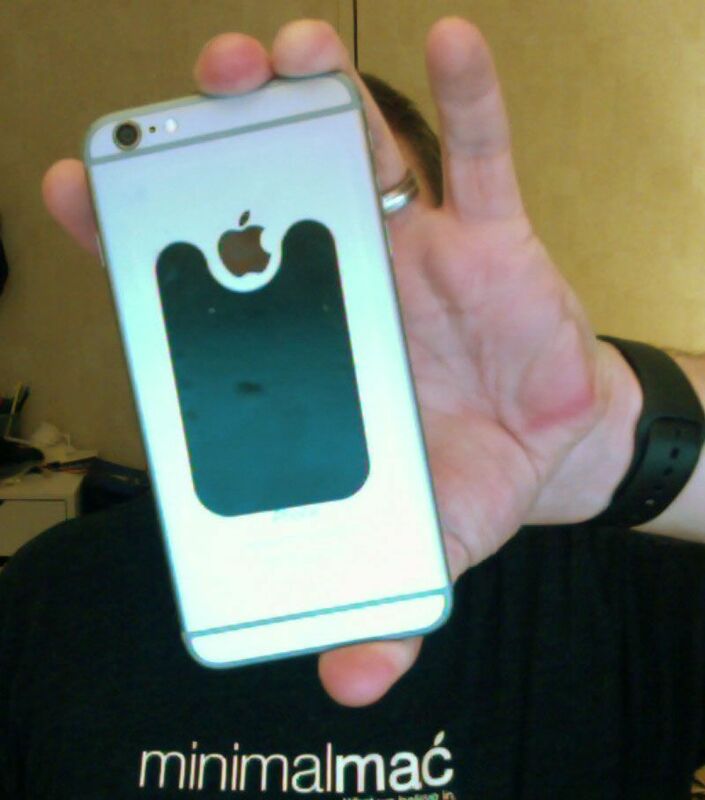 I don’t use cases or screen protectors anymore, but I did like rubberized cases for the same reason. LizzyTape adds no bulk and provides the same benefit for me. For seven bucks, I recommend trying it out! It’s also available in a gecko shape if you want something a little less utilitarian-looking.